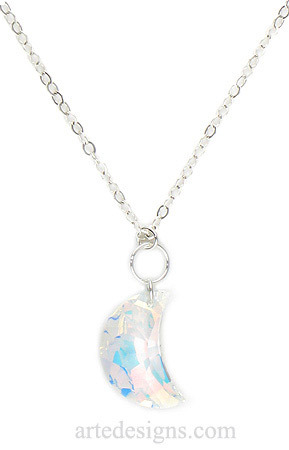 This captivating aurora borealis crystal moon is all you need to add some sparkle to your wardrobe. Approximately 3/4 inch high. Choose a 16, 18, or 20 inch sterling silver chain with a lobster clasp.